KING, Rufus, statesman, born in Scarborough, Maine, in 1755; died in New York city, 29 April, 1827. He was the eldest son of Richard King, a successful merchant of Scarborough, and was graduated at Harvard in 1777, having continued his studies while the college buildings were occupied for military purposes. He then studied law with Theophilus Parsons at Newburyport. While so engaged, in 1778, he became aide to General Sullivan in his expedition to Rhode Island, and after its unsuccessful issue was honorably discharged. In due time he was admitted to the bar, where he took high rank, and was sent in 1783 to the general court of Massachusetts. Here he was active in the discussion of public measures, and especially in carrying against powerful opposition the assent of the legislature to grant the 5-per-cent impost to the congress of the confederation, which was requisite to enable it to insure the common safety. In 1784, by an almost unanimous vote of the legislature, Mr. King was sent a delegate to the old congress, sitting at Trenton, and again in 1785 and 1786. In this body, in 1785, he moved " that there should be neither slavery nor involuntary servitude in any of the states described in the resolution of congress in April, 1784, otherwise than in punishment of crime whereof the party shall have been personally guilty; and that this regulation shall be made an article of compact, and remain a fundamental principle of the constitution between the original states and each of the states named in the said resolve." 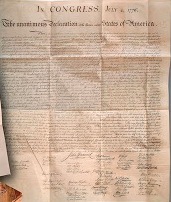 Though this was not at the time acted upon, the principle was finally adopted almost word for word in the famous ordinance of 1787 for the government of the northwestern territory, a provision which had been prepared by Mr. King, and which was introduced into congress by Nathan Dane, his colleague, while Mr. King was engaged in Philadelphia as a member from Massachusetts of the convention to form a constitution for the United States. He was also appointed by his state to the commissions to settle the boundaries between Massachusetts and New York, and to convey to the United States lands lying west of the Alleghenies. While in congress in 1786 he was sent with James Monroe to urge upon the legislature of Pennsylvania the payment of the 5-per-cent impost, but was not so successful as he had been in Massachusetts. In 1787 Mr. King was appointed one of the delegates from his state to the convention at Philadelphia to establish a more stable government for the United States. In this body he bore a conspicuous and able part. He was one of the members to whom was assigned the duty of making a final draft of the constitution of the United States. When the question of its adoption was submitted to the states, Mr. King was sent to the Massachusetts convention, and, although the opposition to it was carried on by most of the chief men of the state, his familiarity with its provisions, his clear explanation of them, and his earnest and eloquent statement of its advantages, contributed greatly to bring about its final adoption. Mr. King had now given up the practice of law, and having in 1786 married Mary, the daughter of John Alsop, a deputy from New York to the first Continental congress, he took up his residence in New York in 1788. The next year he was elected to the assem-blv of the state, and while serving in that body " received the unexampled welcome of an immediate election with Schuyler to the senate" of the United States. In this body he was rarely absent from his seat, and did much to put the new government into successful operation. One of the grave questions that arose was that of the ratification of the Jay treaty with Great Britain in 1794. Of this he was an earnest advocate, and when he and his friend General Hamilton were prevented from explaining its provisions to the people in public meeting in New York, they united in publishing, under the signature of " Camillus," a series of explanatory papers, of which those relating to commercial affairs and maritime law were written by Mr. King. 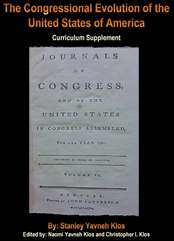 This careful study laid the foundation of much of the readiness and ability that he manifested during his residence in England as United States minister, to which post, while serving his second term in the senate, he was appointed by General Washington in 1796, and in which he continued during the administration of John Adams and two years of that of Thomas Jefferson. The contingencies arising from the complicated condition of affairs, political and commercial, between Great Britain and her continental neighbors, required careful handling in looking after the interests of his court-try: and Mr. King, by his firm and intelligent presentation of the matters entrusted to him, did good service to his country and assisted largely to raise it to consideration and respect. In 1803 he was relieved, at his own request, from his office, and, returning to this country, removed to Jamaica, L. 1:. There, in the quiet of a country life, he interested himself in agriculture, kept up an extensive correspondence with eminent men at home and abroad, and enriched his mind by careful and varied reading. He was opposed on principle to the war of 1812 with England, when it was finally declared, but afterward gave to the government his support, both by money and by his voice in private and in the United States senate, to which he was again elected in 1813. In 1814 he made an eloquent appeal against the proposed desertion of Washington after the British had burned the capitol. In 1816, without his knowledge, he was nominated as governor of New York, but was defeated, as he was also when a candidate of the Federal party for the presidency against James Monroe. During this senatorial term he opposed the establishment of a national bank with $50,000,000 capital; and, while resisting the efforts of Great Britain to exclude the United States from the commerce of the West Indies, contributed to bring about the passage of the navigation act of 1818. The disposal of the public lands by sales on credit was found to be fraught with much danger. Mr. King was urgent in calling attention to this, and introduced and carried a bill directing that they should be sold for cash, at a lower price, and under other salutary restrictions.
" Mr. President, I approach a very delicate subject. I regret the occasion that renders it necessary for me to speak of it, because it may give offence where none is intended. But my purpose is fixed. Mr. President, I have yet to learn that one man can make a slave of another. If one man cannot do so, no number of individuals can have any better right to do it. And I hold that all laws or compacts imposing any such condition upon any human being are absolutely void, because contrary to the law of nature, which is the law of God, by which he makes his ways known to man, and is paramount to all human control." He was equally opposed to the compromise offered by Mr. Clay on principle, and because it contained the seeds of future troubles. Upon the close of this senatorial term he put upon record, in the senate, a resolution which he fondly hoped might provide a way for the final extinction of slavery. It was to the effect that, whenever that part of the public debt for which the public lands were pledged should have been paid, the proceeds of all future sales should be held as a fund to be used to aid the emancipation of such slaves, and the removal of them and of free persons of color, as by the laws of the states might be allowed to any territory beyond the States. His purpose to retire to private life was thwarted by an urgent invitation from John Quincy Adams, in 1825, to accept the mission to Great Britain. Mr. King reluctantly acquiesced and sailed for England, where he was cordially received, but after a few months he was obliged, through failing health, to return home. --His wife, Mary King, born in New York, 17 October, 1769; died in Jamaica, New York, 5 June, 1819, was the only daughter of John Alsop, a merchant, and a member of the Continental congress from New York, and married Mr. King in New York on 30 March, 1786, he being at that time a delegate front Massachusetts to the congress then sitting in that city. 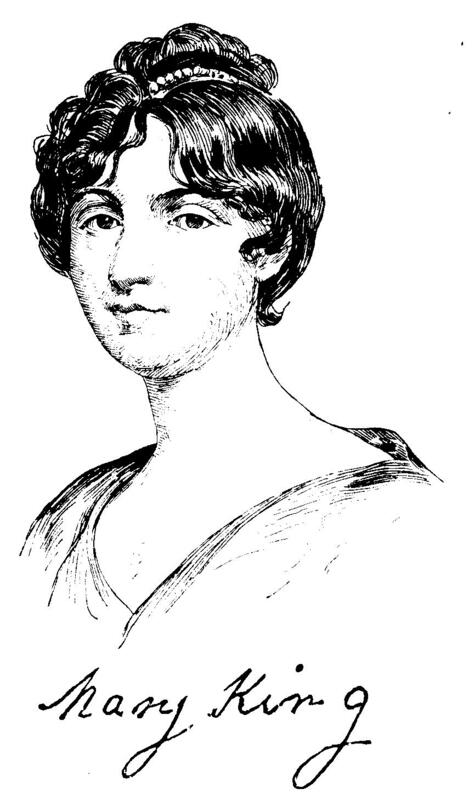 Mrs. King was a lady of remarkable beauty, gentle and gracious manners, and well cultivated mind, and adorned the high station, both in England and at home, that her husband's official positions and their own social relations entitled them to occupy. The latter years of her life, except while in Washington, were passed in Jamaica, Long Island . --Rufus's brother, William King, statesman, born in Scarborough, Maine, 9 February, 1768; died in Bath, Maine, 17 June, 1852, was endowed with exceptional mental gifts, but lacked early educational advantages for their development. After residing at Topsham, Sagadahoc County, Maine, for several years, he removed to Bath in the same state, where he was a merchant for half a century. 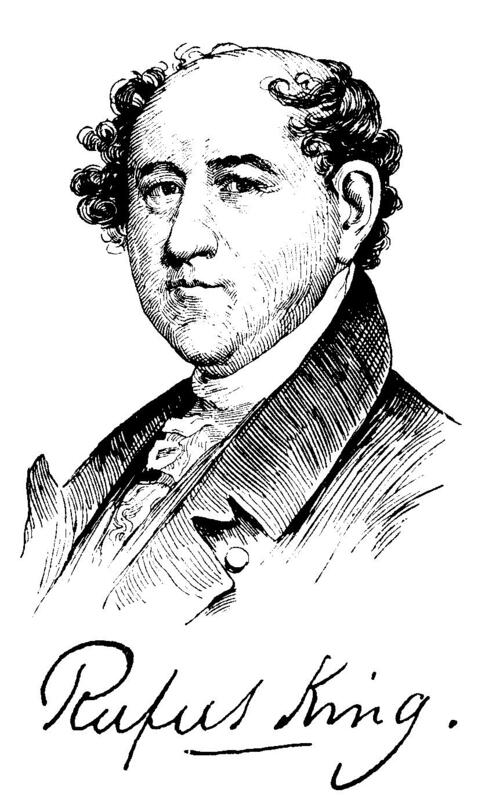 At an early period of his career he became a member of the Massachusetts legislature, and took an active part in drafting and enacting the religious freedom bill, and securing to original settlers upon wild lands the benefit of their improvements. He was an ardent advocate of the separation of Maine and Massachusetts, and presided over the convention that met to frame a constitution for the new state. He was subsequently elected the first governor of Maine, and at the conclusion of his term of office was appointed United States commissioner for the adjustment of Spanish claims. He also held other offices of importance under the general and state governments, including that of collector of the port of Bath. He was a generous and intelligent patron of institutions of learning. --His half-brother, Cyrus King, lawyer, born in Scarborough, Maine, 16 September, 1772; died in Saco, Maine, 25 April, 1817, was graduated at Columbia in 1794. He accompanied his brother to England, where he acted as his private secretary. On his return he studied law, was admitted to the bar, and practiced twenty years at Saco, Maine He was elected a representative to the 13th congress as a Federalist, and re-elected to the 14th, serving from 24 May, 1813, till 3 March, 1817. His speeches in opposition to bills that provided for increased taxation and for filling the ranks of the army in 1814 were characterized, says a contemporary, by "splendor of language and a profusion of imagery." --Rufus's eldest son, John Alsop King, statesman, born in New York city, 3 January, 1788; died in Jamaica, New York, 7 July, 1867, was, with his brother Charles, placed at school at Harrow during his father's residence in England. Thence he went to Paris, and then returned to New York, where he was admitted to the bar. In 1812, when war with Great Britain was declared, he gave his services to the country, and was later a lieutenant of cavalry stationed in New York. Soon after the war he removed to Jamaica, New York, near his father's home, and was for several years practically engaged in farming. He was elected in 1819 and in several subsequent years to the assembly of the state, and, with his brother Charles, opposed many of the schemes of De Witt Clinton. 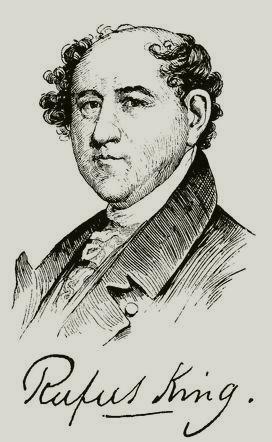 He was, however, friendly to the canal, and was chosen to the state senate after the adoption of the new constitution. From this he resigned in order that he might, as secretary of legation, accompany his father on his mission to Great Britain. The failure of the latter's health obliged him to return, and his son remained as charge d'affaires until the arrival of the new minister. Returning home to his residence at Jamaica, he was again, in 1838, sent to the assembly, and in 1849 he took his seat as a representative in congress, having been elected as a Whig. He strenuously resisted the compromise measures, especially the fugitive-slave law, and advocated the admission of California as a free state, he was an active member of several Whig nominating conventions, presided over that at Syracuse, New York, in 1855, where the Republican party was formed, and in 1856, in the convention at Philadelphia, warmly advocated the nomination of General Fremont. He was elected governor of New York in 1856, entered on the duties of the office, 1 January, 1857, and specially interested himself in internal improvements and popular education. On the expiration of his term he declined a renomination on account of increasing age, and retired to private life, from which he only emerged, at the call of Governor Morgan, to become a member of the Peace convention of 1861. He was a member of the Protestant Episcopal church, and was active in its diocesan conventions. --Rufus's second son, Charles King, educator, born in New York city, 16 March, 1789; died in Frascati, Italy, in October, 1867, was educated at Harrow, England, and in Paris. The war of 1812 with England found him actively engaged in business, and, although he held the opinion that it was injudicious, he gave the government his support, both in the legislature of New York, to which he was elected in 1813, and as a volunteer in 1814. In consequence of the failure of the house with which he was connected, he engaged with Johnston Verplank in the publication of the "New York American," a conservative newspaper. Mr. King was its sole editor from 1827 till 1845, when he became one of the editors of the "Courier and Enquirer," holding that post until 1849. In that year he was chosen president of Columbia college, and gave himself heartily to the duties of his new office, advancing the interests of the college in every way by his scholarship, energy, and wise management. He was an active supporter of the National government during the civil war. In 1863 Mr. King resigned the presidency of the college, and in the next year began a tour in Europe, where he remained till his death. --Rufus's third son, James Gore King, banker, born in New York city, 8 May, 1791; died in Weehawken, New Jersey, 3 October, 1853, was placed at school near London at the age of seven years, and afterward was sent to Paris to learn the French language. He was graduated at Harvard in 1810, and began the study of law, but was never admitted to the bar. He served during the war of 1812 as an assistant adjutant-general, and in 1815 established the house of James G. King and Co. In 1818 he removed to Liverpool, England, and entered into business there with his brother-in-law, William Gracie. In 1824 he declined John Jacob Astor's offer to make him the head of the American fur company, and became a member of the firm of Prime, Ward, Sands, King and Co., in New York city, afterward James G. King and Sons. In the early history of the New York and Erie railroad company, Mr. King took the office of president without compensation. He was largely instrumental in gaining for the road the confidence of the community, and in giving it an impulse toward its completion. Resigning this post during the crisis of 1837, he went abroad, proved to the governors of the Bank of England the wisdom of helping American merchants, and induced them to send to this country, to assist the banks, £1,000,000 in gold--a large sum in those days--which they did through his house. The result was that confidence was restored, the banks resumed specie payments, and the crisis was passed. Mr. King had been a member of the Chamber of commerce in New York in 1817, and from 1841 till 1848 served as first vice president and president. In 1848 he was elected a member of congress from Weehawken, New Jersey, where he had lived for many years, and served from 1849 till 1851. Among other measures, he brought in a bill for the collection of the revenue, and appropriating the sums needed for the costs of collection, which was mainly carried by his clear and forcible presentation of the matter, and which still remains the law. At the end of the session Mr. King retired to private life, having gradually withdrawn from the active business of his house, and passed his time at his country home. --Rufus's fourth son, Edward King, lawyer, born in New York city, 13 March, 1795; died in Cincinnati, Ohio, 6 February, 1836, studied at Columbia and at the Litchfield, Connecticut, law school, but emigrated to Ohio in 1815, where he was admitted to the bar in the next year. He settled in Chillicothe, then the capital of the state, but in 1831 removed to Cincinnati. He was several times elected to each branch of the Ohio legislature, and for two sessions was speaker of the house. He attained success at the bar, and was instrumental in forming the Cincinnati law school in 1833. --Rufus's youngest son, Frederic Gore King, physician, born in England in 1801; died in New York city, 24 April, 1829, was graduated at Harvard in 1821. Going to New York, he studied medicine under Dr. Wright Post, and received the degree of M.D. from Columbia in 1824. Having been called professionally to Italy, he afterward visited France, where he enjoyed many opportunities of perfecting himself in his favorite study, anatomy. He also added to his medical library a valuable collection of French authors. Returning to New York in the autumn of 1825, he resumed the practice of his profession. During a severe epidemic of fever in that season, he attended his brother's family at Jamaica, L. I., and contracted the disease that terminated his career. Dr. King was one of the first to give popular lectures on professional sub-jeers, having delivered courses on phrenology and the structure of the vocal organs. He also lectured on anatomy before the artists of the National academy of design. After spending a year in the New York hospital, he was appointed demonstrator of anatomy to the College of physicians and surgeons in the same city. His early death cut short what would doubtless have proved a brilliant career. --Charles's son, Rufus King, journalist, born in New York city, 26 January, 1814; died there, 13 October, 1876, was graduated at the United States military academy in 1833, and appointed to the engineer corps. He resigned from the army, 30 September, 1836, and became assistant engineer of the New York and Erie railroad. From 1839 till 1843 he was adjutant-general of the state of New York. He was then associate editor of the "Albany Evening Journal," and of the Albany "Advertiser" from 1841 till 1845, when he removed to Wisconsin, and was editor of the Milwaukee "Sentinel" until 1861. 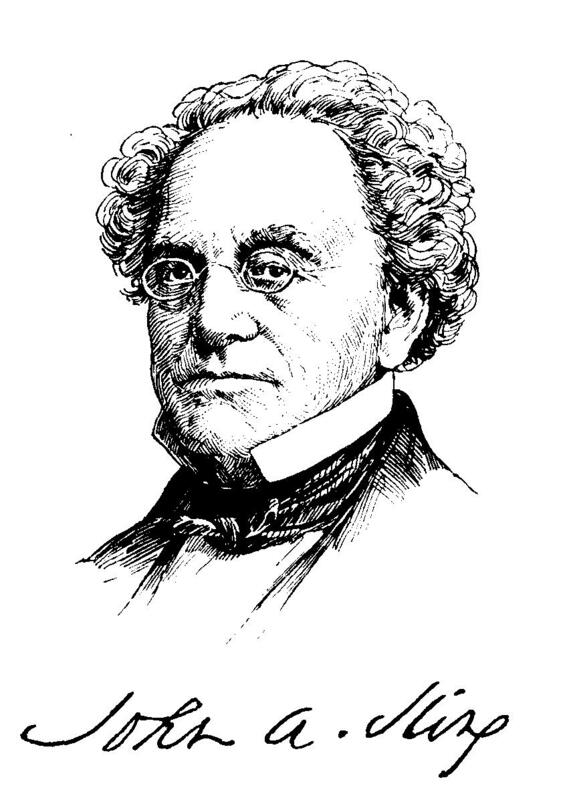 He also served as a member of the convention that formed the constitution of Wisconsin, regent of the state university, and a member of the board of visitors to the United States military academy in 1849. He was United States minister to Rome from 22 March till 5 August, 1861, but resigned, as he had offered his services in de-fence of the Union. He was made brigadier-general of volunteers, 17 May, 1861, and commanded a division at Fredericksburg, Groveton, Manassas, Yorktown, and Fairfax, remaining in the army until 1863, when he was reappointed minister to Rome, where he resided until 1867. During the next two years he acted as deputy comptroller of customs for the port of New York, but for some time before his death he had retired from public life on account of failing health. --Charles, soldier, son of General Rufus King, born in Albany, New York, 12 October, 1844, was educated at Columbia and at the United States military academy, where he was graduated in June, 1866, and assigned to the 1st artillery. He was transferred to the 5th cavalry, 1 January, 1871, and from 4 September. 1869, till 24 October, 1871, was assistant instructor of tactics at the United States military academy. He served as aide-de-camp to General William H. Emory from November, 1871, till January, 1874, and as acting judge-advocate, Department of the Gulf, for about the same period. He was principally engaged on frontier duty from 1874 till 1877, and was severely wounded at Sunset Pass, Arizona, 1 November, 1874. He was regimental adjutant from 5 October, 1876, till 28 January, 1878, and was promoted captain, 1 May, 1879. On the 14th of the following month he was compelled to retire from active service on account of his wounds, and in 1880 he accepted the chair of military science in the University of Wisconsin. Captain King is the author of "The Colonel's Daughter" (Philadelphia, 1882); "Famous and Decisive Battles" (1884); "Marion's Faith" (1885); and "The Deserter" (1887). Start your search on Rufus King.